Snow plant, originally uploaded by Ken-ichi. 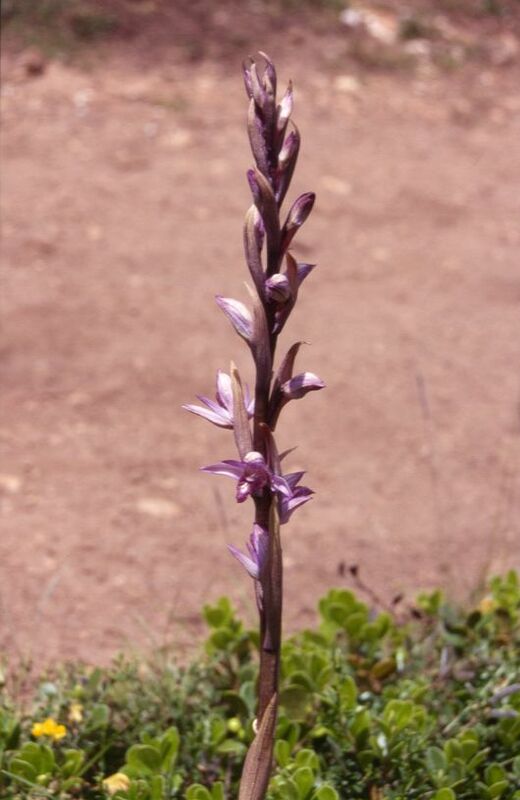 Not that parasitic plants have exactly been a running theme on this blog, but I have mentioned broomrape once. 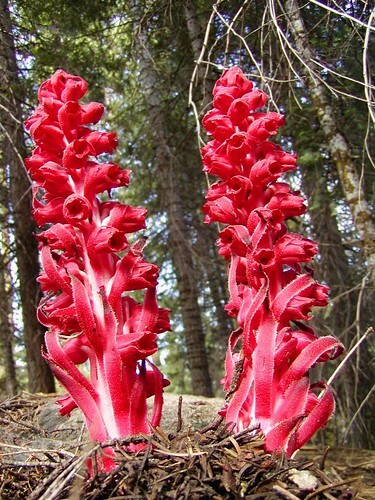 Anyway, a photo came up on the ID Please group in Flickr, and it piqued my curiosity enough to poke around with Google and decide it was a Snow Plant, Sarcodes sanguinea. The picture above is a different shot of the same species. Apparently they don’t actually parasitise plants directly, they get their nutrients from fungi which themselves are growing on the roots of trees. Ain’t nature marvellous. The other remarkable thing about this particular species is that it’s a member of the Ericaceae; i.e. the same family as the heathers, blueberry and rhododendrons. That’s Limodorum abortivum, or Violet Limodore; and like the Snow Plant it’s a myco-heterotroph, which is apparently the term for plants that feed on fungi that feed on plants.